THE death toll from Typhoon Ompong (Mangkhut) has increased to 74, while 74 others were injured and 55 remained missing, the Philippine National Police (PNP) said on Tuesday, September 18. The PNP-National Operations Center reported that as of 9 a.m. Tuesday, 60 of the 74 casualties were from the Cordillera Administrative Region (CAR), 10 from Cagayan Valley, two from Central Luzon, and one each from National Capital Region and Ilocos Region. Of the missing people, 52 were from CAR, two from Ilocos, and one from NCR. 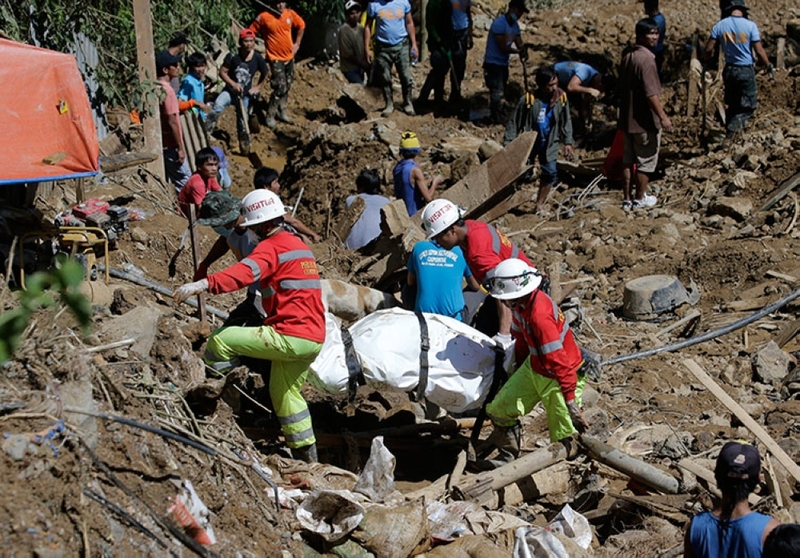 Most of the casualties were buried in a massive landslide that hit Barangay Ucab in Itogon, Benguet, at the height of Typhoon Ompong over the weekend. Hundreds of miners and their families were reportedly buried alive. 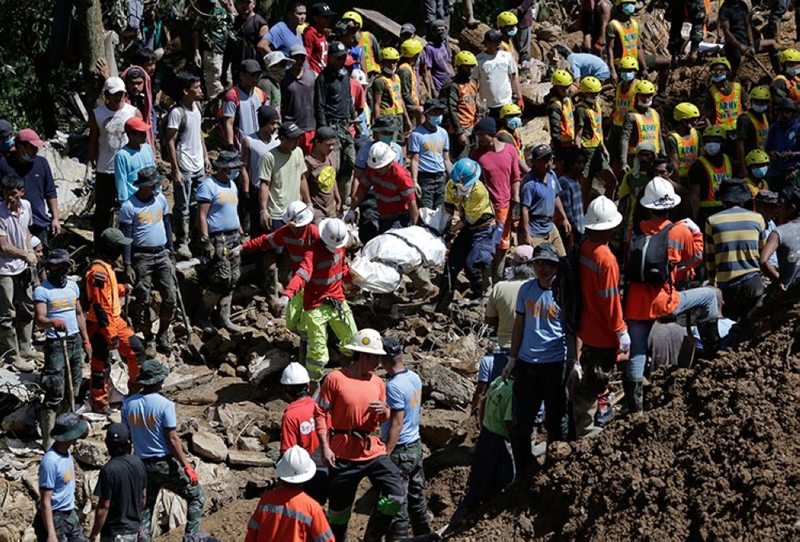 PNP spokesperson Senior Superintendent Benigno Durana Jr. said the police force will not stop until the last victim of the landslide will be accounted for. 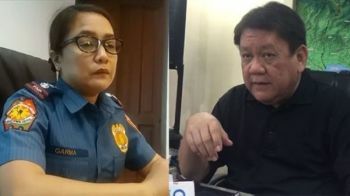 "Sabi nga ng ating chief PNP (Oscar Albayalde), we will not lose hope and with your prayers, we will not stop until the last of our fellow Filipino will be accounted for para mabigyan naman sila ng karapat-dapat na libing ng kanilang mga pamilya," he said. "We are still hoping na sana makapag-recover pa tayo ng buhay, di pa natin alam but miracles can still happen nowadays; sana maka recover pa tayo, 'yun ang inaasahan ng ating kapulisan, pero so far, as the day passes by, medyo ang chances ay lumalabo pero ika nga, merong himala na sana with God's help, magkaroon tayo ng himala at makakuha pa tayo ng buhay sa Barangay Ucab," he added. Aside from the local police in Benguet, Albayalde also sent a 24-man team from the Special Action Force to take part in the ongoing rescue and retrieval operations. Meantime, the PNP said 5,904 families or 20,562 individuals are still staying in 5,983 evacuation centers in Ilocos, Cagayan Valley, Calabarzon (Cavite, Laguna, Batangas, Rizal and Quezon), Western Visayas, CAR and NCR. It said nearly 2,000 policemen have been posted in the evacuation centers and their vacated areas for the maintenance of peace and order, while the others have been providing assistance in relief and clearing operations. The PNP also recorded 6,851 damaged houses and other infrastructures. Around 2,524 are from CAR, 3,705 from Ilocos, 589 from Central Luzon, 26 from NCR, six from Autonomous Region in Muslim Mindanao (Armm), and one from Mimaropa (Mindoro, Marinduque, Romblon and Palawan). It said 353 areas in Ilocos, Central Luzon, CAR and Armm are still flooded, while 88 road sections remained to be impassable due to fallen debris or flooding. The PNP said 1,065 areas in Ilocos, Cagayan Valley, Central Luzon, Calabarzon, Western Visayas and NCR still experience power interruption. According to the National Disaster Risk Reduction and management Council (NDRRMC), meantime, a total of 218,492 families or 893,844 persons were affected from 3,237 typhoon-hit barangays. The NDRRMC said of the 948 cities and municipalities that suspended classes due to Typhoon Ompong, 308 have already resumed classes as the weather gets better. The council added that the cost of damages to agriculture, including rice, corn and livestock and poultry of Typhoon Ompong was pegged at P9,358,000,863.32 in CAR and Cagayan Valley. At least 171,932 farmers were affected. Superbalita Cebu Tagming: Coco nisamot ka way lami!